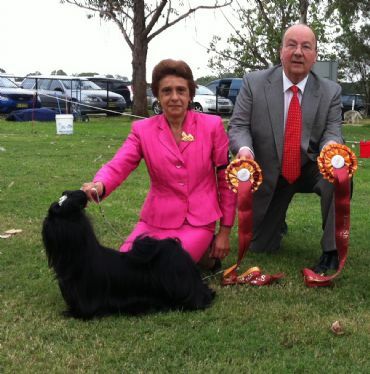 USHER WINS BEST IN SHOW AT THE SHIH TZU CLUB OF NSW, 8/04/2012 A GREAT ACHIEVEMENT FOR THE BLACK BOY. 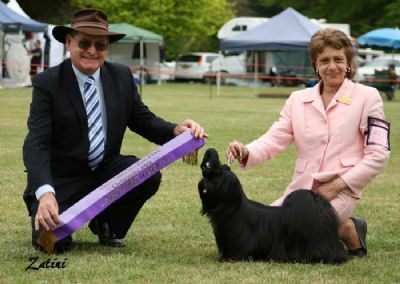 USHER WINS RUNNER BEST IN SHOW, ILLAWARRA & SOUTH EASTERN REGION OF NSW,22 OCTOBER 2011. AND WINS ANOTHER BEST IN GROUP 24 OCTOBER 2011. UNDER JUDGES FROM QLD, MR R OGDEN AND MRS D JOVANOVIC. THANK YOU. USHER GAINS HIS AUSTRALIAN CHAMPION TITLE. WHAT CAN I SAY ABOUT THIS YOUNGSTER. STUNNING!!!! 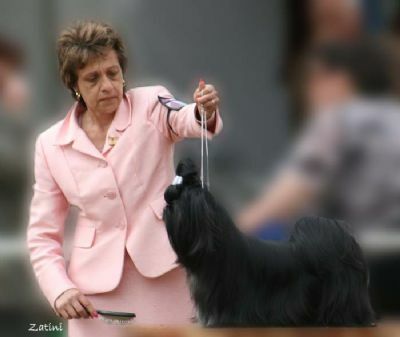 Usher wins to 2 BEST EXHIBIT IN NON SPORTING GROUP, UNDER 2 ALL BREED JUDGES. THANK YOU TO MRS H BEASLEY AND MR W GUNTER. Thank you to the judges who a giving me great comments on Usher, its great to see Usher doing so well. When Usher goes around the ring all you can see is his Blue Bow. Keep a eye on this little guy, solid black boy who will hit the show ring soon. We at Placky Shih Tzu's are so happy to have bred this little guy who comes from a good mixture of Wenrick, Beswick and Symarun.